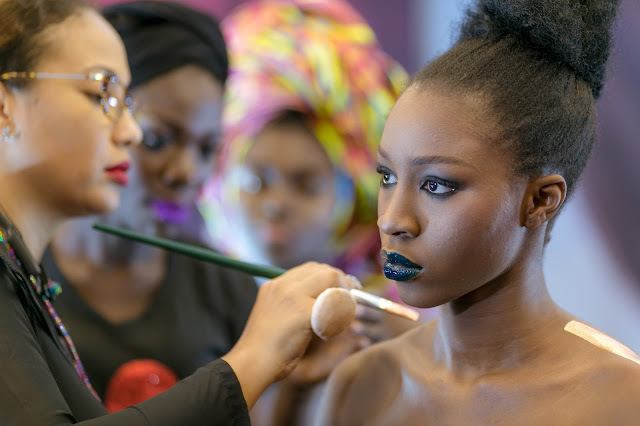 October was a really interesting month and a very busy one for Ghana fashion and African fashion in general as we had one fashion week after the other, and some happening at the same time. Well! Lets leave that for another day. I stepped out in confidence last weekend dressed in this versatile Woodin Romper from their Fusion Collection. Rompers are generally worn as casuals, but I wore it to a corporate event and felt right at home, thanks to the style and the length of the shorts. And again I got away with minimal styling as the bold and beautiful print gave me little work to do (I am not complaining). My favourite thing about this outfit will have to be the fabric, its ethnic yet modern look. Woodin fabrics are not only a modern interpretation of African culture and arts but also reflect a modern cosmopolitan lifestyle; a perfect bridge between the young and the old. Walk into any Woodin retail store closest to you (NB Woodin has retail shops in over 8 African countries), get your ready-to-wear outfits for that special occasion or even for work,and shop in comfort and style.